Probuild contacted Conference Audio Visual seeking a solution to provide a suitable PA System to address attendees as well as a large screen for playback of time lapse footage of the builds progression. The events were to take place in the upper most levels of the respective buildings in what is essentially still a worksite. 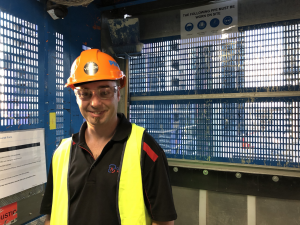 Safety was of paramount importance ensuring all CAV staff were equipped with appropriate personal protective equipment including high visibility clothing, hard hats, eye protection and safety shoes. 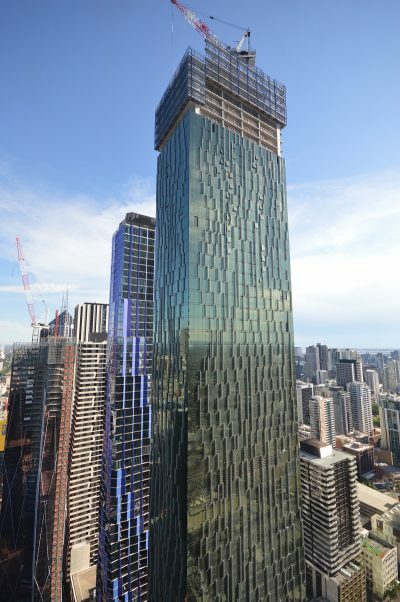 Probuild’s Victoria One has successfully topped out as the tallest tower in Melbourne’s CBD. Once completed, the project will feature 643 residential apartments, the largest car stacker in the southern hemisphere, 11.5km of façade fins and 22,500m2 of glass façade with the total weight of the structure estimated to be around 54,000 tonnes. Avant Central Melbourne has topped out months ahead of schedule, thanks to the Probuild Construction System. Designed and constructed for luxury Singaporean property developer World Class Global, Avant will feature 456 residential apartments configured as one, two and three-bedrooms. 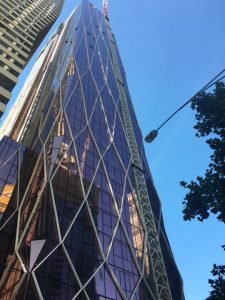 Here at Conference Audio Visual we were delighted to provide valuable audio and visual support to the team at Probuild for their recent topping out events in the Melbourne CBD. Each event required Conference Audio Visual to provide a suitable professional audio and vision equipment solution for an audience of 50 plus in a challenging CBD building site environment. Using our 65” LCD Screen Package, we ensured that the client provided content was vibrant and easy to see from all vantage points during the events. We interfaced with one of Probuild’s laptops using long HDMI cables to allow the laptop to be placed in a comfortable position for the client to operate. Conference Audio Visual has a large inventory of LCD Screens available for hire. Suitable for a variety of different events, we can provide a tailored solution for your conference, exhibition or corporate event. The use of our Shure ULX-D Wireless Hand-Held Microphones coupled with appropriate Powered Speaker Packages allowed the presenters to be easily and clearly heard over the ambient background noise. The Industry standard SM58 Microphone head combined with the best wireless technology makes this microphone the best possible choice for presenters and novice users alike perfect for anything from a simple Q&A microphone at your next conference through to lead vocals for a band. With an impressive 8 hrs plus battery life Conference Audio Visual have a large stock available for immediate hire. Using an iPad we provided an extensive play list of appropriate background music to ensure the client got the most from our Professional sound system package hire, entertaining guests before and after formalities on the night. Probuild were extremely happy with the result and have already flagged future events on their calendar which Conference Audio Visual are excited to have the chance to work on. Congratulations to Probuild on these amazing construction milestones and on delivering the future Melbourne skyline with these high-rise projects.